A proposal by so-called “left-wing” Israeli politicians to build a fence across Arab neighborhoods in Jerusalem, cutting off 200,000 Palestinians, has been compared to South African apartheid. Former Israeli MP Haim Ramon is leading the media campaign for “annexation” - and his proposal to construct a new wall through the heart of Jerusalem has been condemned by human rights activists. The occupied West Bank is already blocked off with a barrier reaching up to 8 meters (24ft) in height in some parts, severely restricting the movement of Palestinians. Writing in the New York Times, Israeli journalist Isabel Kershner said the move undermined any attempts for peace and would simply “aim to satisfy a majority of Israeli Jews”. “Kicked off with advertisements under the heading ‘Saving Jewish Jerusalem,’ the campaign’s almost jingoistic tone seems intended to appeal to the broadest Jewish constituency. Instead it has been rejected at both ends of the political spectrum as well as by Palestinian leaders,” she wrote. Palestine doesn’t need more apartheid in the form of the racist “two-state solution.” It needs the abolition of apartheid and colonial rule. Isaac Herzog, leader of the Israeli opposition, formally adopted the plan to separate dozens of Palestinian neighborhoods and said he wanted to save Jewish lives with the wall, referring to the recent hike in stabbing attacks against Israelis. He also wants the annexed area to be placed under civil control of the West Bank’s governing body, the Palestinian Authority, stripping Arab residents of their benefits and freedom of movement within Israel, if it goes ahead. Herzog said, in his own piece for the NY Times, the divide would create a “unified capital”. Israel has long faced criticism for its “Apartheid" segregation policies. In May 2015, Palestinians commuting from the West Bank to work in Israel were temporarily banned from sharing buses with Israeli settlers. The scheme was revoked by Israeli Prime Minister Benjamin Netanyahu after a public outcry. Palestinian chief negotiator Saeb Erekat branded the recent fence plan “racist” and said thousands of Palestinians would be separated from hospitals, religious sites, and their schools. “This plan clearly shows that even members of the so-called progressive Israeli camp are falling into the same policies of the Israeli right,” he said, according to the NY Times. 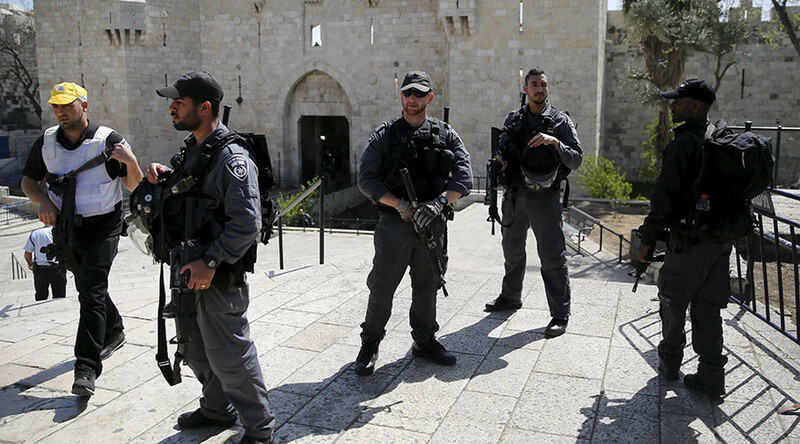 The Al Aqsa Mosque, also known as the Temple Mount in Jerusalem’s Old City, has been at the center of clashes in recent months after constantly being stormed by Israeli settlers. Some Palestinians continue to demand East Jerusalem as their future independent capital as part of a two-state solution, a move not recognized by Israel.